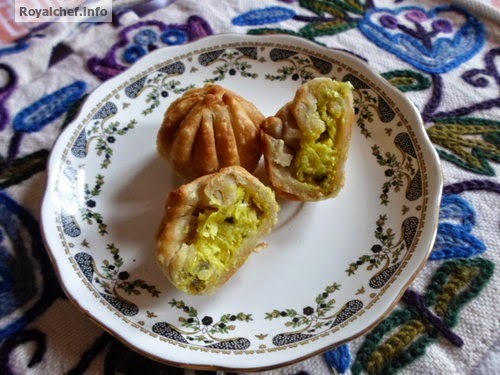 This is a Recipe for Cheese-Corn Modak (मोदक). The Modak recipe given in this post, is one of the experiments done by me using different stuffings. This one here tastes great and can blend nicely with any of the daily meals or even parties. Mix the Refined Flour, Wheat Flour, Hot Oil, Salt, Soda Bicarb and add some water then prepare a thick Dough. Boil the Sweet Corn Niblets and crush them slightly. 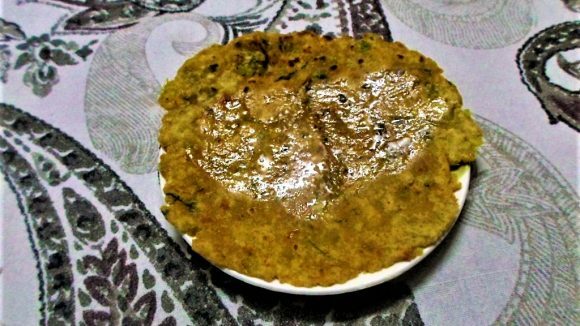 Heat the Butter in a Kadhai and then add the Ginger-Garlic Paste, Green Chilies and fry for a minute. Add crushed Corn Niblets, Lemon Juice, Salt, Mint Leaves and then fry for two-three minutes on a slow flame. Then add the shredded Cheese and mix it well. Prepare small balls from the Dough and roll them into Puri size shapes and then fill one table spoon mixture in the Puri and then close the Puri and then give any shape you like.